The Winter issue is OUT NOW! 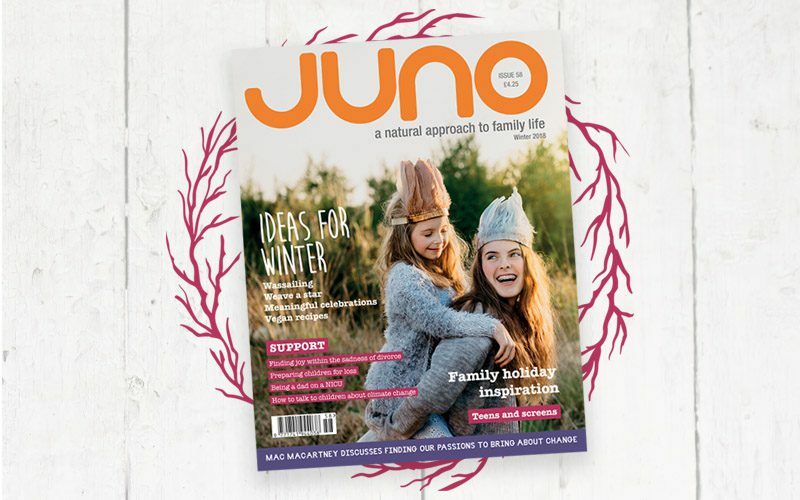 The Winter issue of JUNO celebrates the festivities and warmth of the season with lots of ideas to explore. Keri-Anne Pink suggests we decorate a tree in the wild and Lou Harvey-Zahra helps us to celebrate a meaningful Christmas with joy and spirit. 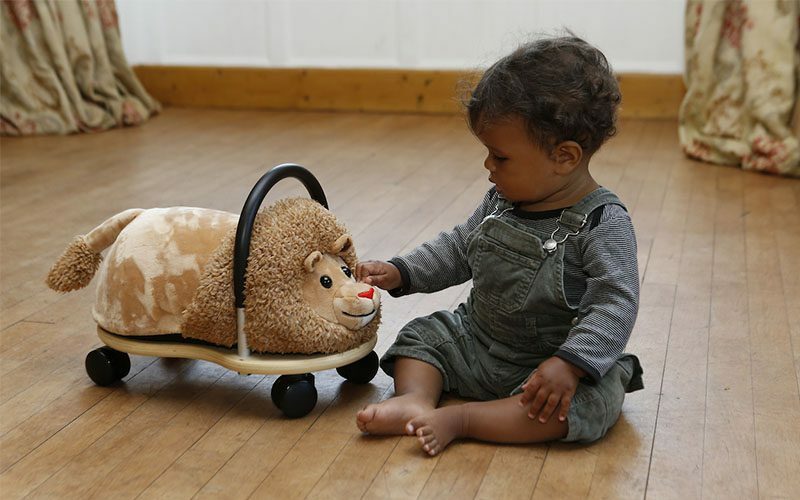 Karen Hodgson discovers that learning is everywhere; Richard Brinton reflects on the huge milestones of the first three years of life and their significance; Lucy H. Pearce introduces us to a lost feminine archetype of healing; and Sophie Lovett describes building attachment with a preemie. To help us deal with loss, Caroline Jane Greenwood shares how she is finding joy within the sadness of her divorce; and Sandra da Silva reflects on life passing. 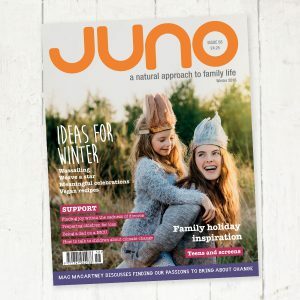 Also in this issue: Zion Lights talks Mac Macartney about finding our passions to bring about change, and families recommend their favourite holidays to help us plan for 2019. To help us focus on our health, The Seed SistAs share ideas for supporting women’s menstrual and reproductive health with a focus on endometriosis; Louise Palmer-Masterton explains how to get enough protein as a vegan; and there are ideas for observing our mental health in Benaifer Bhandari’s homeopathy column. Feel inspired with recipes for a Vegan Christmas and Jo Robertson’s beautiful birth photography – this issue’s theme is the pregnancy. Also, find out how to make a willow star for a lovely simple gift or table decoration this season. 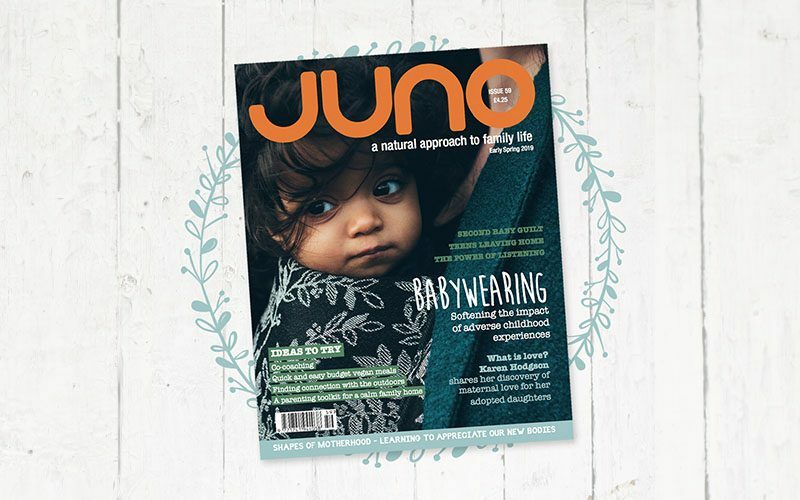 Lots to inspire in the Winter issue of JUNO. The Early Spring issue is OUT NOW!